It's quite dumb that there are special threads for major composers on DVD but only one for them all when it comes to CD. Here is first attempt to change it and start series of threads for each major opera composer and CD recordings of his stuff. 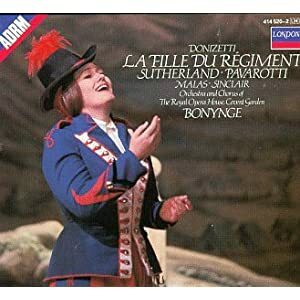 I've just listened again to this wonderful CD with wonderful cover and wonderful cast, all wonderful with little exception of Mr. Tagliavini. I don't want to be nasty or something but really, he spoils the recording like ten thousand bedgers spoil Swedish plantation of tabacco. 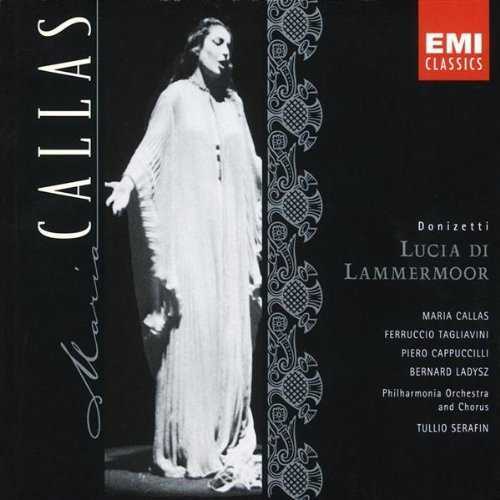 Is this kind of voice to be paired with Callas on one of her best recordings, one of her rare good quality studio CDs? I switched to recording with Carreras in last scene to hear Edgardo's last scene in the same quality as I've heard Lucia's. Tagliavini isn't that terrible but really, if I get great recording I want it to be great all the way, not with one irritating exception. Btw, today I've noticed that there is Ładysz out there - what a surprise it was for me, to find this guy which I remember singing obscure arias of Moniuszko on some of the most significant recordings of XXth century. Yeah, I've been thinking of separating the CD posts by composer, specially now that the sub-froum got CD included in the title. Oh please Alma. I've just waded though pages of CD reviews on the Modern Opera on DVD page to try and find an old DVD review. It would be great to have them separate! I'll add my plea - please can we have a CD sub-froum. Well, we can start by separating the threads and posts. Then later if we decide to have a CD sub-forum we can just move them all there. But the thing is, it's huge work. I'm willing to do it but it will take several hours. I won't have the time this weekend (I'm about to wrap up my Saturday morning participation here and travel to Virginia for the college football game with my son). Lately I've been busier than usual both at work and with some big weekend projects or travel. Next weekend is another one that I won't have the time - I'm organizing a showing of Die Walküre for my opera group, have a party to attend, etc. So, I promise that it will get done... I just can't promise when. I'm organizing a showing of Die Walküre for my opera group, have a party to attend, etc. Which version are you showing? Schenk/Levine - but I may change at the last moment to Baremboim. I'm debating this issue in my mind. The group wants Schenk/Levine, but I'm thinking I should surprise them. NEVER! OVER MY DEAD BODY! I've made no secret of my love for the Chereau/Boulez Walküre. Certainly one to consider, though the image and sound aren't as refined as later versions. Oh well, we're veering off-topic here. I'd forgotten just how fabulous this is. On my way home I stood watching magpies 'mobbing' a kestrel just as Cesare Siepi was singing Ah! cedi, cedi. Magic. *I plug into an opera on my mp3 & when it reaches the end I start it off again. I continue to do this for about a week or until I want a different one. So. 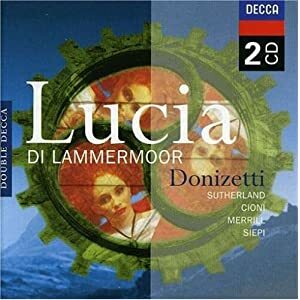 I got CD of Don Pasquale with two characters which didn't truely satisfy me on DVD with Netrebko and Kwiecień replaced but still with that pair. Don Pasquale is sung by Alaimo and the tenor geezer is created by Florez. Now, that's perfect. Is there Fille with Pavarotti/Sutherland from studio or of studio quality? I got some but it's live and badly recorded. All times are GMT +1. The current date and time is Apr-25-2019 11:32.